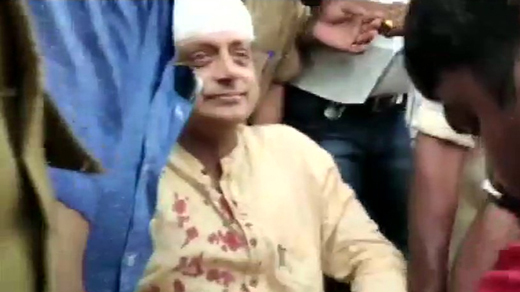 Thiruvananthapuram, Apr 15, 2019: Congress MP Shashi Tharoor was on Monday injured while offering prayers at a temple in Thiruvananthapuram. He has suffered injuries on his head and has received six stitches. The incident took place while he was making a Thulabharam offering at a temple and the weighing scale on which he was sitting, broke and fell. He was rushed to the general hospital in Thiruvananthapuram for preliminary treatment. Doctors say that he is under no danger. Earlier in the morning, he had tweeted Vishu greetings to all. "For the first time in decades my sisters and I were blessed to have our eyes opened for Vishu Kani by our Mother. Such a joy to re-live our childhoods this Vishu! Vishu blessings to all and a wonderful year ahead!," he tweeted. "A Vishu break from the paryadanam circuit! Campaigning in the heat (46 degrees C ydy) comes straight out of a cookbook -- one is roasted in the morning, slow-baked in the afternoon & (esp in the coastal areas) steamed in the evening. Once the rains start, one will be poached too!," he added. 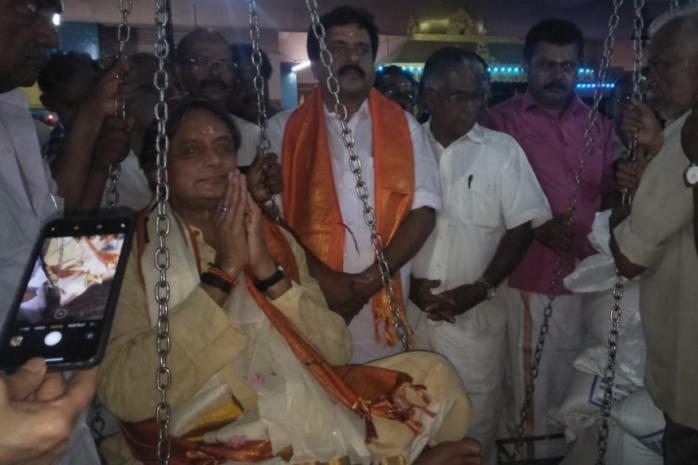 This is not the first time that Tharoor took part in Thulabharam during the election campaign. He performed the ritual earlier in the Kazhakkoottam constituency on April 11 before beginning his election campaign on a ’unique note’. "Started my paryadanam of Kazhakoottam yesterday on a unique note - with a ‘thulabharam’ of bananas! At least in temples I can claim to be a “heavyweight politician!” he had tweeted.